You know I have a vested interest in my nails so I like to keep track of new nail polish colours. Today I’d like to introduce you to my new favourite from Essie: vested interest. Sorry for the pun – I just couldn’t resist the name. 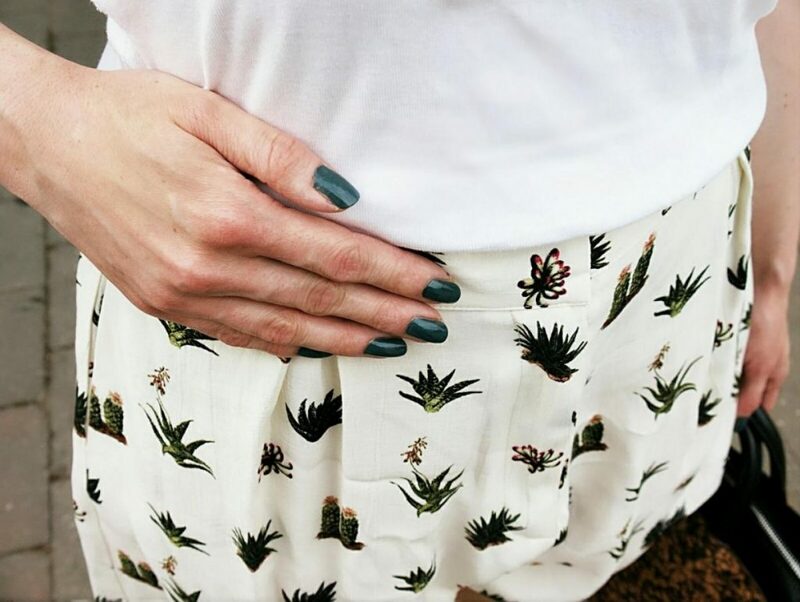 I wore this colour in one of my last outfit shoots and it goes quite well with this cute cactus print on my Topshop shorts. It’s an old shade from the Fall 2013 collection called “For The Twill of It”. I stumbled upon it while browsing in an online shop where it happened to be on sale so I decided to give the colour a try. In the Essie colour overview here it looks a lot more grey than green but in reality the colour is much prettier. No. 274 is a lovely cool petrol green. The colour is unexpectedly handsome and I love the cool undertones. 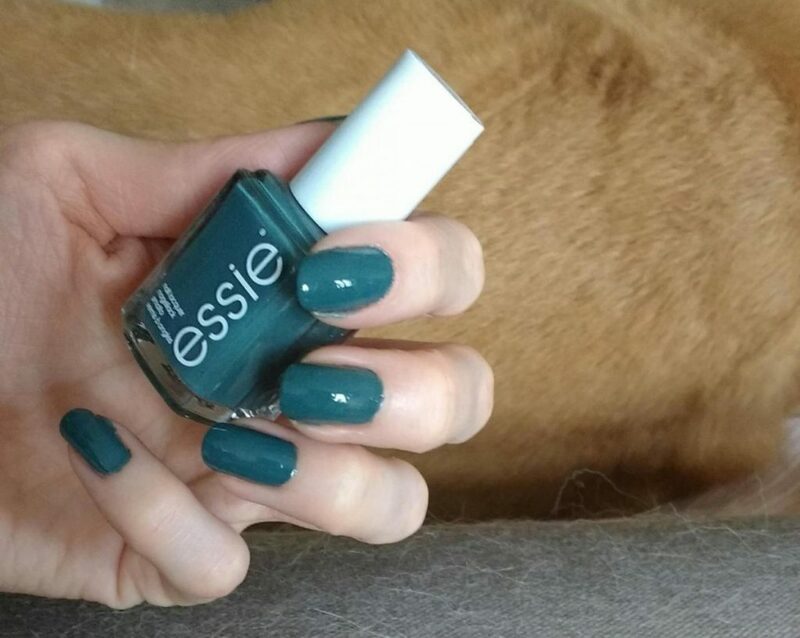 The formula was great and durability is fantastic as always with Essie. After seven days I have minimal tipwear. Would totally buy this shade again and will be wearing it a lot this summer. Ich habe diese Farbe durch Zufall Ende letzten Monats bei Liris Beautywelt entdeckt. Da es dort einige Essiefarben der letzten Jahre im Sale gab, habe ich nicht widerstehen können. Die Nr. 274 stammt aus der Essie Fall Collection 2013 mit dem schönen Namen “For The Twill of It”. Anders als man nach einem ersten Blick auf die Essie Farbübersicht meinen könnte, handelt es sich hierbei um ein wunderschönes Flaschengrün mit petroligem Einschlag. Auf der Webseite wirkt es fast gräulich, aber ich finde es ist definitv ein Grün, wenn auch mit einem kühlen Unterton. Eine unheimlich schöner, kühler Grünton. 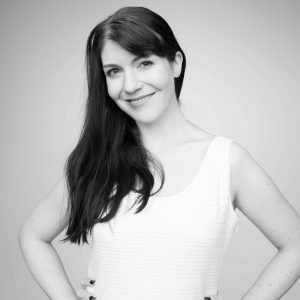 Ich bin ganz begeistert von der Farbe und werde sie jetzt im Sommer wohl noch öfter tragen. Grade jetzt im Sommer trage ich recht gerne Grüntöne auf den Nägeln. Die Haltbarkeit ist, wie bisher bei all meinen Essielacken, fantastisch. Mit Über- und Unterlack kann ich die Farbe gut eine Woche tragen bevor das Tipwear zu stark wird. Welche Nagellackfarben tragt ihr im Sommer besonders gerne? 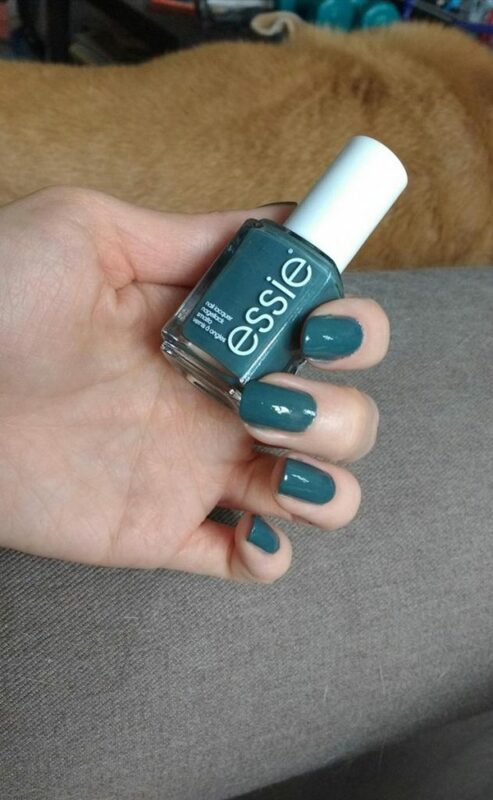 This is such a pretty teal shade and it looks so good on you, too! I also love your cactus printed shorts! The print is so unique, I don’t recall seeing this print on anything before! Thanks for sharing, beauty, and I hope you have a great week ahead! gorgeous color for autumn/fall!! lush green! Gorgeous nail colour. I like your shorts too. Have you tried Seche Vite ? An amazing topcoat that makes polish last longer. Eine richtig schöne Farbe :) bisher habe ich keine Grüntöne in meiner Sammlung, da würde er bestimmt super rein passen. That’s a pretty colour and it is one of the colours that don’t suit me! I love it on others and whenever I try something similar, it just looks weird on me :) It can be a beautiful Autumn colour too, think about wearing something berry colour and this nail polish, absolutely beautiful! 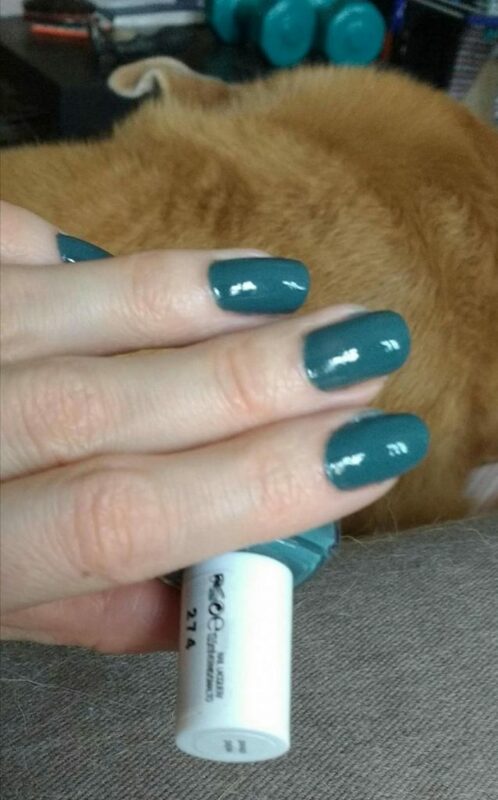 I love this shade- such a great green color! Ich finde die Farbe wirklich außergewöhnlich und schön! Sie passt wirklich super zu deiner Shorts und in den Sommer, wie ich finde! Love this color!! Looks great on you! obsessed with that color, great review! thanks for sharing with us! Das passt einfach perfekt zusammen, richtig schön! Outstanding outfit and perfect look. You’re always so inspirational to me. First of all, your blog name instantly reminded me of Grey’s Anatomy because of Callie and how Arizona always would call her by her full name. Anyways, that nail color is so gorgeous! I love that shade and it definitely matches the cactus print of your outfit really nicely! hey, da ich blautöne super gern mag, ist das absolut nach meinem geschmack! Ein sehr schöner Farbton. Du hast wirklich tolle Nägel.